Worn very often, but still in good condition. No major flaw. 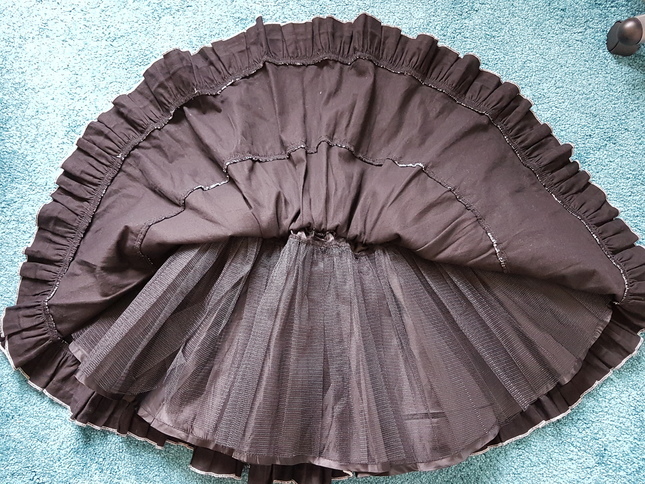 The skirt has a layer of tulle and has therefore some volume on its own. 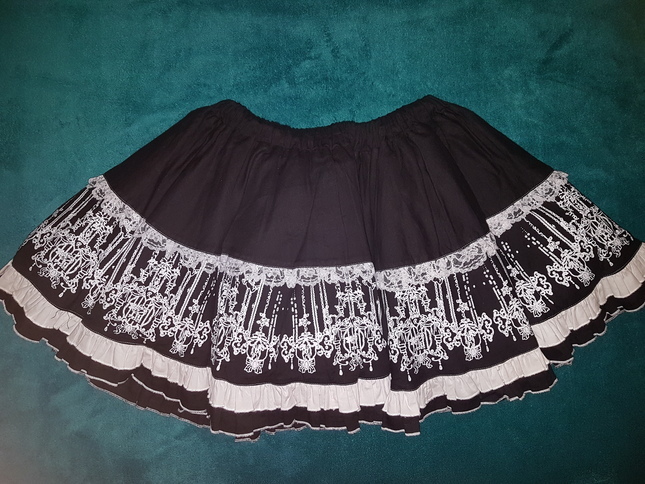 Can be worn without a petticoat. Please read the terms of sale. Don't hesitate to contact me if you have any further question. Hello, are there photos of the outside of the skirt?